Follow these tips to transfer and implement technical know-how from clients to CDMOs. Technology transfer (TT) is a foundation for the successful transfer and implementation of the technical know-how from the client to the contract development and manufacturing organization (CDMO). It should establish an effective communication between the parties, clearly define roles, responsibilities, and expectations of the project, and properly position future manufacturing efforts. Communication is essential: Understand what model of communication and project management works best for the relationship, agree on frequency and nature of communication, and establish most effective communication resources, information exchange platforms, and progress and decision tracking mechanisms. Set clear expectations: Establish a Project Team Charter to define the overall goals, deliverables and success/acceptance criteria, timelines and critical go/no-go points, known risks and considerations, and to identify roles and responsibilities of each team member on both sides. Develop a technical understanding: Review all available scientific and technical data and documentation (development reports, SOPs, material and equipment specifications, logistics, clinical considerations) and understand the biological material and final product variability, process consistency and robustness, and failure rates. Develop a practical understanding: Schedule hands-on training at a client facility/lab to allow the CDMO to capture practices, experience, and “art” not captured by SOPs; provide an opportunity to audit the process before TT; and schedule follow-up training at CDMO to allow the client to observe CDMO staff, provide additional technical feedback essential for process implementation, and build trust/comfort with CDMO technical proficiency. Align resources, technologies, and controls: Understand that the CDMO facility and operations do not need to be a literal replica of the client’s. Ensure that CDMO facility, material flow, and environmental controls meet process requirements, equipment meets process-specific URSs, QC testing/analytical procedures meet established product and assay parameters, and Quality Systems provide the relevant controls needed for implementation. Adjust before implementation: Use risk assessment-based methods to delineate between major and minor process changes; major changes should be addressed through a structured process development program, while minor changes can be incorporated ahead of implementation. Ensure the changes are captured in updated versions of relevant documentation and procedures, and retrain on the updated documentation and procedures. 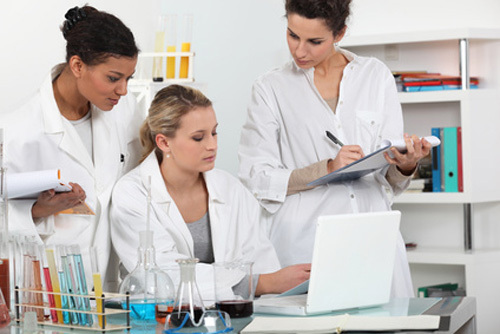 Set the appropriate stage: Develop a Phase-appropriate assessment of the level of qualification/validation of the Clean Room (CER), equipment, ancillary and manufacturing procedures, and analytical methods, accounting for the regulations, but thinking practically, and in the context of the process being transferred (risk-assessment). Don’t skip the dress rehearsal: Engineering runs are “advanced training” activities, where the transferred (and adjusted/updated) process is performed in the CER environment, providing risk mitigation for Process Qualification (PQ)/Validation and starting to establish comparability to client-manufactured product and process. Qualify/validate the process: Develop PQ/Validation protocols with clearly defined expectations and acceptance criteria, with the appropriate number of PQ/Validation runs, and execute to protocol. All data should be captured, analyzed, and summarized in a report, including comparability against prospectively set criteria, process and personnel Media Fill Validations based on Phase-appropriate risk-assessment, and shipping validations with PQ material. Work as one team: Understand each other’s drivers, strengths, and weaknesses, and take ownership of your role. Be direct, be clear, be accountable, and stay one step ahead: communicate proactively. Maintain trust, and avoid micromanagement; empower for success, don’t set up for failure. Sanjin Zvonic, Ph.D., is director, technology and business development, at PCT (Progenitor Cell Therapy).